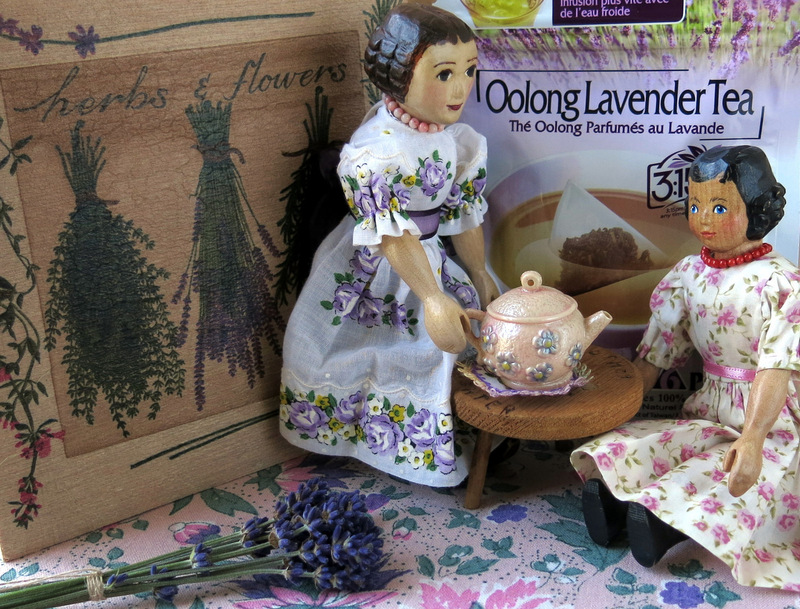 Rose and Constance celebrate a successful Lavender harvest. The tea was a gift from a friend who brought it from Hong Kong. It was delicious! And, such pretty new dresses for their teaparty, too! A Hitty friend sent us the purple rose hanky dress – and another friend sent the fabric for Rose’s pink Rose dress…it is so nice to be able to wear light summer dresses! Serenity will reign all day for me after looking at that very restful photo. Thank you. Oh my imagine my envy….not only a great harvest of wonderful exquisite lavender but also a lovely tea party with Rose and Constance. they look so pretty in their summery frocks. And lavender tea??!! Who knew something like that existed. Sounds wonderfully calming. The tea was very delicious, and the girls take advantage of any excuse to wear their lovely frocks!